I didn’t really have a theme for skincare this week, except “get back on track”, because, after a week away and a weekend in Paris my normal routines have gone a little to pot, I have to admit. On Monday I trialled used May Lindstrom’s Honey Mud in the shower, as a protective mask against the shower water (I do find that water irritates my skin hugely), and it worked well, I think. This might be the best way (for me, at least) to use it, because I find it very confusing as a “proper” cleanser. It smells of chocolate though, and, if you do happen to get any in your mouth, it’s possibly the nicest tasting cleanser on the planet. I have also added in the new Vichy Liftactiv Serum 10 Supreme, which I find myself really liking, so you can expect a fuller review of this coming up – I’m a big fan of the Liftactiv range generally tbh, and, as it’s one of the <ahem> more affordable ranges I like, it’s high praise! I’m also trialling the New Omorovicza Omoressence, which is another very likeable product, and again, more about that soon. 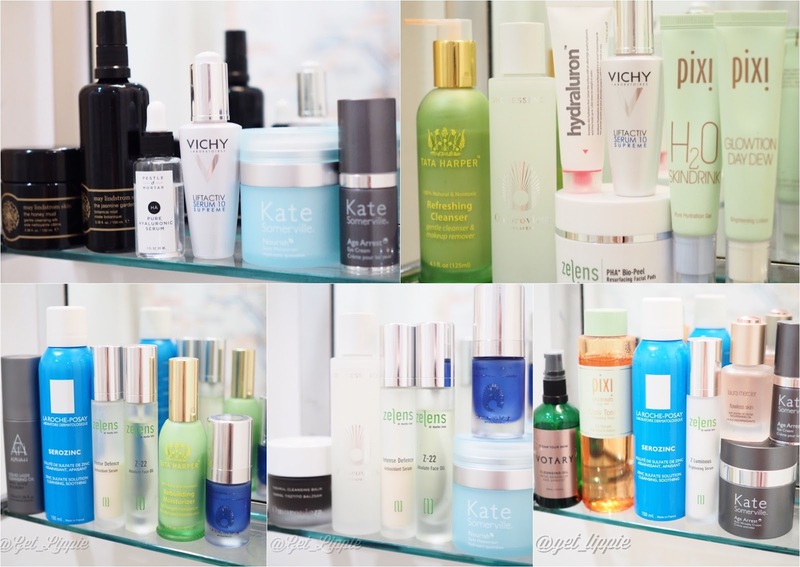 The rest of the week was me just re-acquainting myself with my favourites old and new, and re-introducing Alpha H Liquid Laser Cleansing Oil, which I had pipped into my stash basket for some reason. It’s well and truly out and with the everyday essentials now though!